If there's a single fishery in western Canada that has both the diversity and quality of fish that Manitoba's Red River boasts, I'm certainly not aware of it. But you don't have to take my word about this prairiewaterway's amazing productivity; a quick read through Travel Manitoba's annual fishing guide, where they publish the results of the province's Master Angler Awards program, will convince you as quickly as it did me. For those not aware, the Master Angler Awards program, now 52 years old, recognizes anglers who catch trophy-sized fish across the province. A minimum qualifying length has been established for each species, with angler participation rate in the program nothing short of staggering at more than 10,000 entries per year. It's hard to beat this data for identifying the best trophy fishing opportunities in the province. 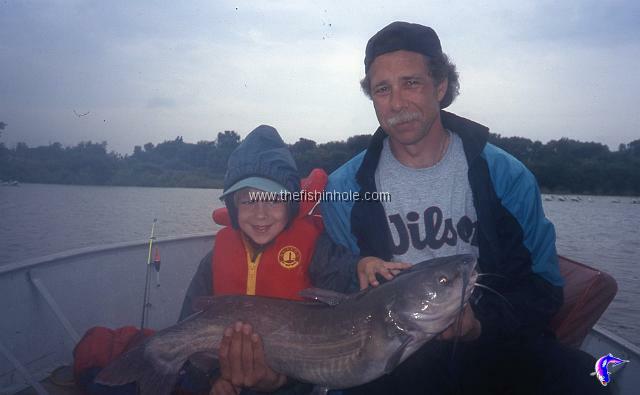 - All of the 12 largest channel catfish recorded across the province were taken in the Red, and the provincial record is from these same waters. - Seven of the largest 17 walleye were caught there, and the provincial record, a 39-inch leviathan, was also plucked from the Red river. 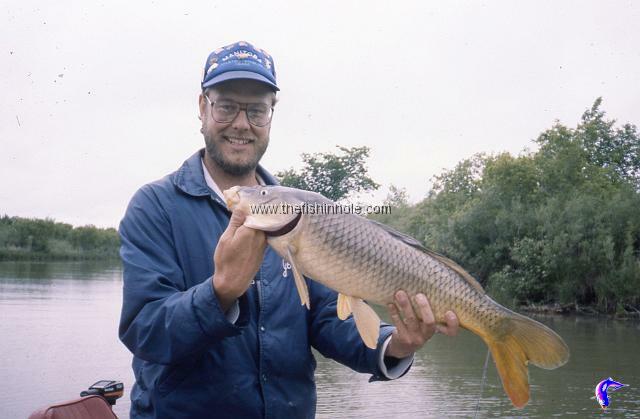 - If your idea of a prime target species is carp, then you should know that three of the top 12 were taken in the Red, as was the provincial record fish. - Sturgeon play these waters too, and the 78.5" provincial record was landed in the Red in 1996. - Manitoba is famous for its smoked goldeye, and the Red is as good as any located for finding these delicacies, surrendering 3 of the top 12 in 2009. - The largest white bass entered in the program came from the Red river. - Rock bass? 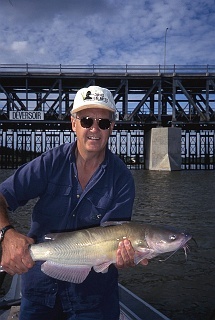 The fifth largest of 2009 was a Red River fish. - The Red's black crappies couldn't quite crack the top 12, but one was knocking on the door at 13 pounds. 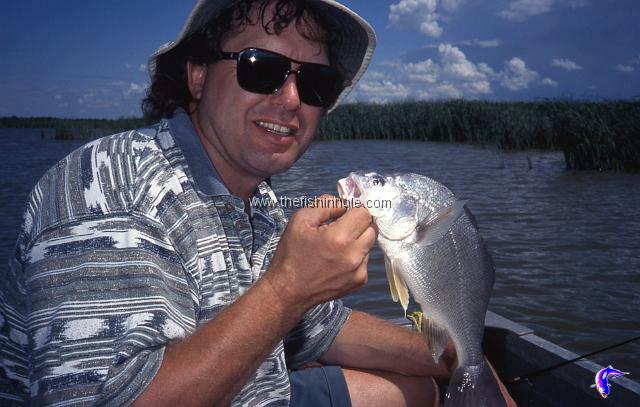 - The top two freshwater drum taken that year were caught in the Red. - Though targeted by few anglers, the Red was a prolific producer of awards program qualifying bullhead. - Even fewer fishermen actively seek suckers, but one of the Red's cracked the top 12 list. - And while seldom thought of as a trophy pike fishery, every year the Red gives up a few that meet the 41-inch program minimum standard. That's 13 different species of fish from the Red that qualify for, and at times dominate, the provincial-wide annual awards program. Clearly, there's no telling what you might pull up when you toss your line into the Red. Forgiving her propensity to spring flood on occasion, the Red is a rather innocuous river. It runs north, crossing the 49th parallel near the junction of Manitoba's border with those of North Dakota and Minnesota. It meanders muddy and slowly through much of its course, winding its way drunkenly through the rich soils of the province's southern farmland. Sliding slowly into Winnipeg, it neatly bisects the capital city, gaining volume as it leaves, having taken on the load of the Assiniboine River. Just north of Winnipeg the Red meets its only major obstruction, a dam that crosses at the town of Lockport. Below the dam, river waters continue north for another 25 miles or so before bleeding out into the southern bay of Lake Winnipeg. Notwithstanding its piscatorial diversity, the Red is best known for two distinctly different species, channel catfish and walleye. 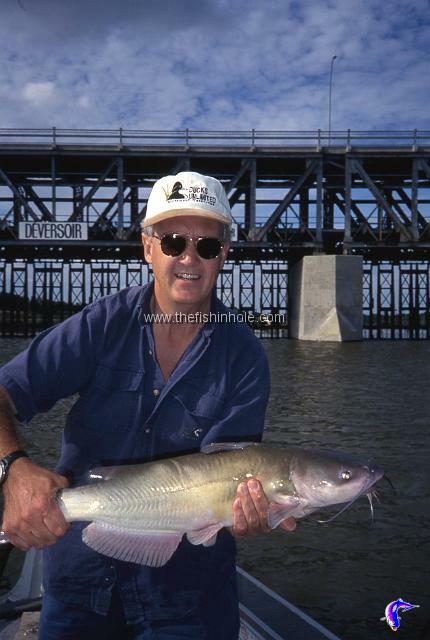 Cats can be caught through any stretch; I've landed them myself everywhere from Letellier, near the U.S. border, to just above the mouth at Lake Winnipeg, and in many stretches in between. But it's a section from just south of Lockport north to the City of Selkirk, only a handful of river miles, that has earned the reputation of producing the largest and most catfish. Hot, early summer weekends will see hundreds of anglers below the Lockport dam, some in boats but most fishing from shore. And virtually all have big cats in mind. Seldom will you see less than two or three dozen anglers there on a midweek summer's evening, and the flickering glare of small fires tells you that a handful of diehards are prepared to stick it out well into the night. 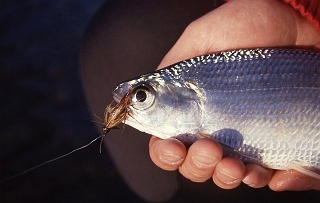 But don't let angler numbers scare you; there's plenty of shoreline and no shortage of fish to go around. These cats will never win a beauty contest, but they have few peers when it comes to determination. This is brawling, bare-knuckled scrapping at its finest, with fish averaging 15 plus pounds and a few taken annually that approach the forty-pound class. Tactics are relatively straightforward, with the time-honoured presentation astationary bait looking to attract cruising fish. This presentation has many forms, but most popular is by using a three-way swivel with a one- to three-ounce pyramid weight and a 2/0 or 3/0 hook on a three-foot leader. Sliding weights, such as Lindy-style rigs, can also be effective. In recent years, many anglers have found success with large slip bobbers drifted through mainstream channels or along structure. Baits are a matter of personal preference, though popular choices include nightcrawlers, minnows, cut goldeye, frogs, frozen shrimp and chicken livers. While the cats are largely a summer target on the Red, walleye are the focus in fall and through the winter. 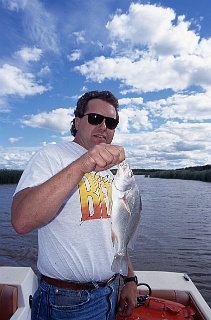 If you're a "pickerel" aficionado, you've no doubt heard of the Red's infamous fall "greenback" run, when vast numbers of walleye push south out of Lake Winnipeg and move into the Red. With October the most popular month, this is your best bet for trophy, open-water walleye, with many fish exceeding ten pounds landed annually. Again, the most popular stretches are found between Lockport and Selkirk. Those fishing from boats prefer heavy jigs sweetened with minnows, or trolling crankbaits against the current. 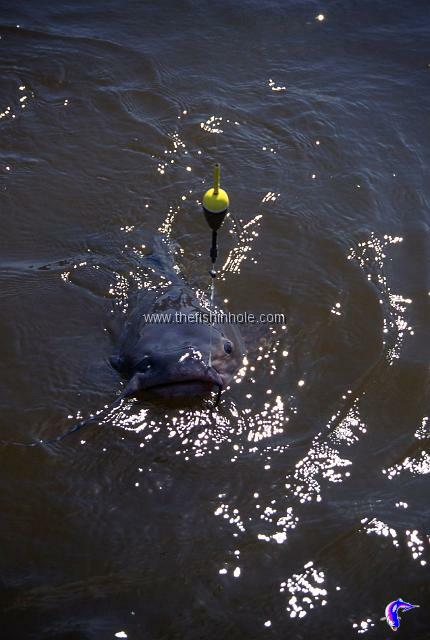 From shore, baited Lindy rigs or pickerel rigs are favoured. And if you don't pick up a personal best eye in the open water, you can always wait until freeze-up and join the legion of fishermen who prefer the hardwater season. The best fishing waters are not always those remote and pristine lakes and rivers that require several days and more dollars to reach. Manitoba's Red River is a shining example of how an ordinary river can produce extraordinary results.